I first had this soup at a small cafe near the office building where I worked in Portland OR. Up until then, I’d not been much of a fan of dried beans (except as a kid I liked Van Camp’s Pork & Beans, but that’s another story). But upon first taste, my eyes lit up and my heart glowed. 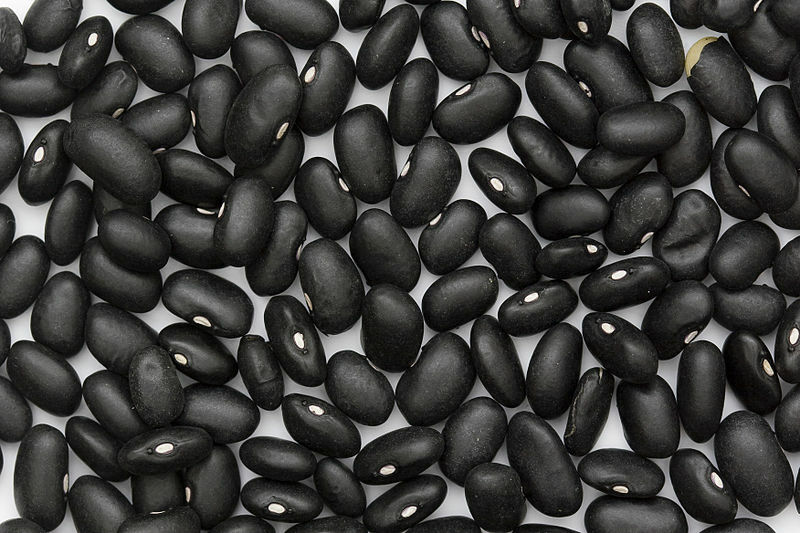 This recipe is adapted from ‘Cuban Black Bean Soup’ in Soup, by Coralie Castle (1). The original serves 8 – 10, but I’ve modified the recipe to serve 4 – 5, and revised it to include some ideas from ‘Black Bean Soup’ in The New Vegetarian Epicure, by Anna Thomas (2). Optional: chili seasoning or cayenne, to taste. 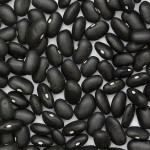 Prepare Basic Black Beans (soak or sprout, then cook in soup pot using double the amount of water until soft, adding salt about 30 minutes before they are ready). Meanwhile mince the onion, bell pepper, celery and carrots and set aside in a bowl. Mince garlic and set aside in a separate bowl. Sauté the veggie mix in oil until they are tender and beginning to brown. Add garlic, vinegar and Maggi’s seasoning (or substitute), and chili powder or cayenne, if desired. Also add ground cumin (Or, if using whole cumin seeds – my preference, toss them lightly in a hot, dry skillet until fragrant; remove from skillet to let them cool a bit, then grind in a mortar and pestle, and add to the mix). Cook, stirring occasionally for minutes. When the beans are done, drain a little water from the beans and add to veggies in the saucepan; cook slowly, covered, for 30 minutes, adding more water as needed. Add to beans and reheat. Adjust seasoning with salt and pepper, and cayenne if desired. Serve with steamed white or brown rice and garnish with minced scallions, or with the minced scallions soaked in olive oil and cider vinegar. Garnish with sour cream and cilantro. If you don’t make your own sour cream, I recommend Daisy Brand (5) which has no added ingredients – just cultured cream, or an Organic brand that is just cultured cream. Garnish with wedges of fresh limes and sprigs of cilantro. This entry was posted in Alcohol, Citrus, Fat or oil, Herbs, Legumes, Onion family, Root Veggie, Simmered, Spices, Vine veggies and tagged bell pepper, black beans, carrot, cayenne, celery, chili seasoning, cilantro, cumin, garlic, onion, sour cream, vinegar. Bookmark the permalink.